Eckhardt's / Kobacher's Department Store building at 950 Broadway is architecturally significant as an excellent example of a largely-intact, early Art Moderne commercial building. Designed by local firm Bley & Lyman for John H. Eckhardt, this sleek building is one of the most significant early Modern buildings surviving in Buffalo. A similar style department store building, the W. T. Grant department store (1939) that once stood at Main and Huron Streets in downtown Buffalo (demolished 1980). The building's curved façade stands out for its design and materials, which include granite, light cream terra cotta and stainless steel. 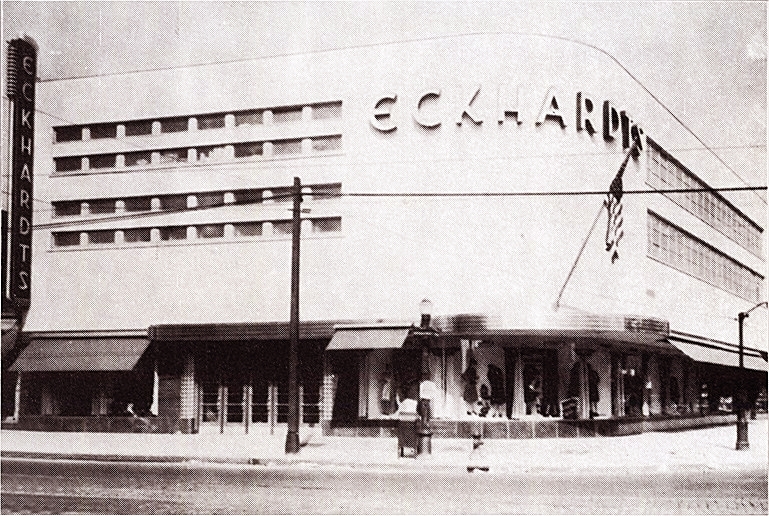 Eckhardt had operated a store at the principal commercial intersection of the Broadway-Fillmore neighborhood since the 1880s. Former tenants of the building include Kobacher's and Sears department stores. The building is now vacant.